Author Of The Week: Chat with Kendare Blake (Two Dark Reigns), Plus Giveaway!! Introducing Kendare Blake , YABC's Author of the Week!! 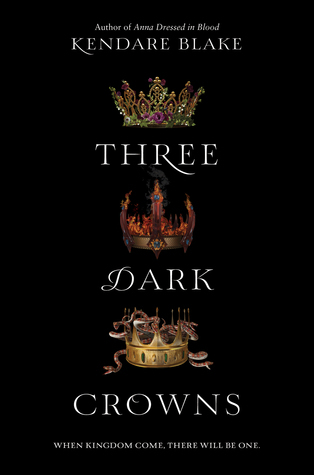 In the third book in the #1 New York Times bestselling Three Dark Crowns series, a queen that has long been dead makes a chilling return to Fennbirn Island. Queen Katharine has waited her entire life to wear the crown. But now that she finally has it, the murmurs of dissent grow louder by the day. There’s also the alarming issue of whether her sisters are actually dead—or if they’re waiting in the wings to usurp the throne. Mirabella and Arsinoe are alive, but they’re dealing with a nightmare of their own. Stuck on the mainland, where their powers have weakened, the girls are being visited by a specter they think may be the fabled Blue Queen, pointing her rotting, boney finger toward Fennbirn. Jules, too, is in a strange place—still on the island but in disguise. And her only confidantes, a war-gifted girl named Emilia and her oracle friend Mathilde, are urging her to take on a role she can’t imagine filling: a legion-cursed queen who will lead a rebel army to Katharine’s doorstep. This is an uprising that the mysterious Blue Queen may have more to do with than anyone could have guessed—or expected. I don't necessarily have a favorite scene, but it was fun when the characters went to places I hadn't seen before. The mainland. Bastian City, home of the warriors. It was fun to walk through those places, and get to know them. It really doesn't get any easier. I mean, some parts do. Or at least you know more about the process so it's less daunting. More familiar. But seriously, there are always new challenges. New fears. This is an amazing, rewarding thing to do, but it's not an easy thing. I was really excited when they said they were going with scepters. I love scepters! Plus, we're running out of royal stuff to use. Crowns, thrones, scepters...no idea what they'll do for book four. YABC: What new release book are you looking most forward to in 2018? THE BONELESS MERCIES by April Genevieve Tucholke. The series ender! THREE DARK CROWNS 4! Hmm, let's see. The Blue Queen, I guess. Figuring out that whole thing was sort of a pill. Like, am I going to have to wrestle it out of you? Geez. Drafting, I guess. Except with these books, revising generally means writing an entirely new draft. I'm always down with animal causes. Also with environmental causes, because they generally help the animals. I don't know...as the apex species on this planet I sort of feel like it's our responsibility to look after these critters. It's a responsibility I take seriously. 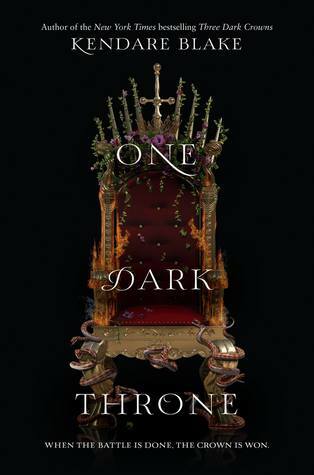 Author Of The Week: Chat with Kendare Blake (One Dark Throne), Plus Giveaway!! Author Of The Week: Chat with Aditi Khorana (The Library Of Fates), Plus Giveaway!! 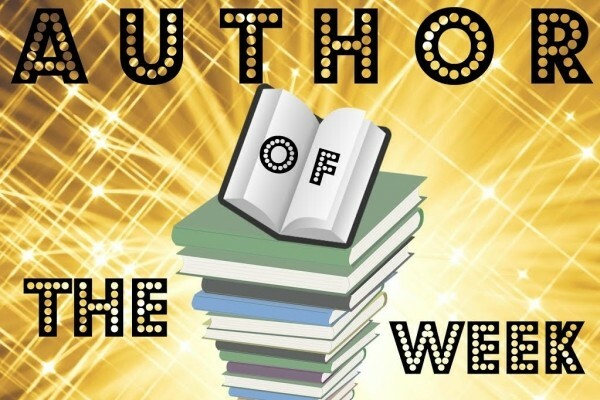 Author Of The Week: Chat with Chelsea Bobulski (The Wood), Plus Giveaway! Author Of The Week: Chat with Lindsey Klingele (The Broken World), Plus Giveaway!! The synopsis is enticing, and the cover for this book is awesome...I love how the trilogy cover designs are closely related through otherwise distinctive imagery. So excited for this book, and the cover looks perfect! I LOVE the covers for this series. Arsinoe is my fave queen! I am SO VERY excited about this book! I cannot wait!!!! I like the cover, but I can't read the synopsis since I've only read the first book and not the second yet. I NEED all the books from this series on my shelf! The cover is very cool. I have read the first two books in this series, so I know this one will be excellent. "What do you think about the cover and the synopsis?" I like the saturated colors and scepterishness! The queen's return does sound chilling! Love the covers, they are beautiful! The synopsis sounds amazing! The covers of the books are regal and dark fitting with the series. The synopsis draws me in for more. This series sounds awesome.